Neither one of us appear to be particularly comfortable, however, yesterday at 12am Marcus and I finished my suit. A milestone to say the least. 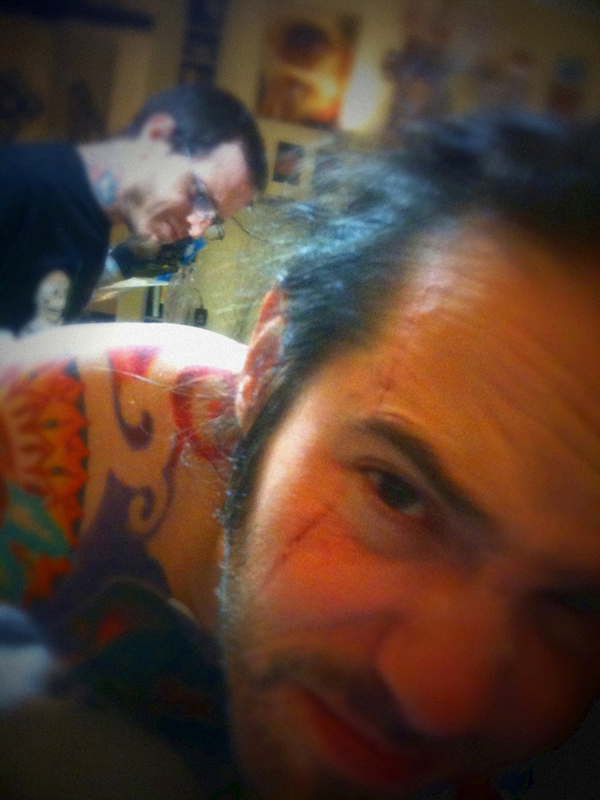 I was first tattooed by Marcus when I was eighteen years old. He's since taken me on quite a journey. The completed image will be in the BloodWork: Bodies book.